One of the best keys to beautiful skin is a cleansing routine that is gentle, thorough and relaxing. Apply the cleanser with your fingertips, beginning at the center of your face and working upwards and outwards. Massage the cleanser in with your fingertips to soften any congested areas in the skin. this relaxes the pores for further treatment and helps boost circulation. Rise off excess cleanser. Soak cotton -wool pads in cool water, and then douse them in eye makeup remover. Lay one over each eye, wait for a few seconds, then rub a pads with your fingertips to loosen the eye makeup. Vigorous rubbing or pulling of the delicate skin around the eyes will eventually cause the skin to loose elasticity and sag. Remove and gently wipe under the eyes to remove the facial traces of makeup. Using cotton -wool pads soaked in warm water and alcohol – free toner, sweep the rest of the face to remove the cleanser. 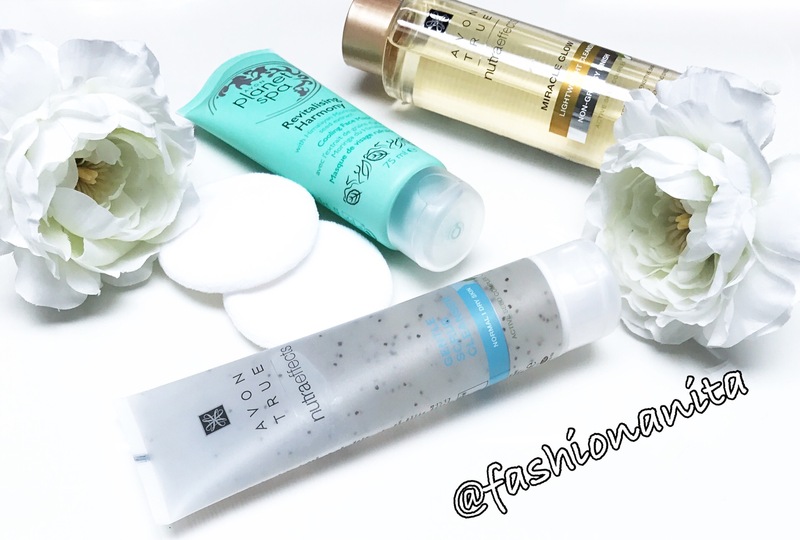 Gently splash with cool water to stimulate the skin before applying mask. Apply the face mask, Taking care to avoid the eye and lip areas. Don’t forget your neck which must be included in each and every step of the cleansing routine. Remove the mask gently with the wet face cloth. Using clean cotton- wool pads soaked in warm water to remove any remaining traces. Splash face and finish off with your moisturizer. As you know, there is no good makeup without good skin. Makeup should enhance your natural beauty, not mask it. Taking responsibility for your skin, means getting into a proper regime and looking after it correctly each and every day. I love the face masks from Avon 🙂 Great routine!